Since the day man faced physical danger, he has been wearing some kind of armor. The ancient tribes covered their body with animal hide or plant coverings when they went hunting. 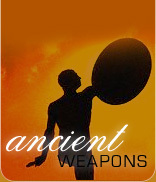 The ancient armor has since then evolved as the protection in battles. 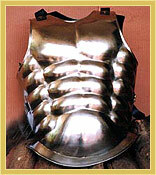 The warriors of Rome and Europe covered themselves in metal plates to protect their body. By the middle ages the armors had become sophisticated. The armors so covered the body that hardly any part was exposed. Helmets, breast plates, shields and limb protection shields were deviced for total protection during the war. Any armor had to be flexible to allow the free movement of the warrior and it had to be lightweight so that the warrior is not tired wearing it. The body armors consist of an armor shirt that was at times extended to armor tunic, that covered the upper part of the body. Helmet could be a part of the armor or separate. Limb armors were also separate pieces. Armor suits covered the whole body.